Bill and Shirley Wright are sheep and beef farm owners from Cave. 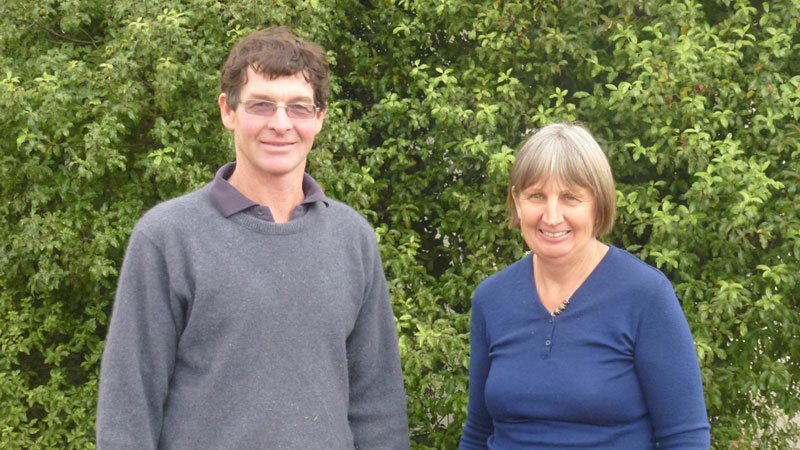 They form part of a network of farmers in Canterbury who will contribute to the direction of the research, influence priorities, share experiences and provide a practical check to research. Variable weather in 15/16 required continuously changing decisions. With a dry summer pre-December, stocking rates were reduced early at Cave, but with prolonged rains delivering substantial moisture later in the summer, lambs were brought onto the farm in the new calendar year. As a result of the weather, pasture production decreased and this was not offset by crops and supplement, leading to a decrease in beef production by 38%.However this has contributed to a decrease of 27% in N leaching. 1 “Beef” means both beef carcass and that leaving the farm as live weight gain on grazed dairy cattle. What are you getting out of the FRNL project? Ensuring we continue best practises meeting ECANs MGM. Monitoring/measuring of pasture and animal performance that can be benchmarked against industry. Continually challenged on current farm practises and ideas to change or adopt new science or ideas. Challenged to adopt best environmental standards to minimise nutrient losses. Why did you decide to join the project? What do you hope to get out of the project? Why do you think it's important? "With the direction the industry is heading, legislation, river catchment allocation etc. it’s important to have as much information as possible." How will farmers and the industry benefit? “Gaining understanding and appreciation for a) what we are doing now and b) what we can do going forwards.